The average price found by our customers for Malaga to Melilla recently is £328, with Balearia. Book a Malaga to Melilla ferry today with AFerry. Just use the form above and choose the route that you want. If nothing appears automatically, start typing Malaga. You can also type the country or even the name of the ferry company you are interested in. When you have the route that you want, choose single or return and all the other options you want. If there is more than one ferry company operating on the Malaga Melilla route we will show you all the ferry companies, to make sure you get our best price. 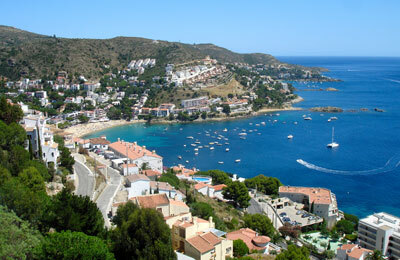 We'll also show you any routes similar to Malaga to Melilla so you have the complete picture when making your booking. And of course you'll also see a range of times just in case it's a bit cheaper earlier or later than your preferred booking time. Once you've chosen your perfect sailing and have made your booking we'll email you your booking confirmation for your Malaga to Melilla ferry. The majority of tickets have instant confirmation. Below you can see the ferry company or companies that sail on the Malaga to Melilla route and the journey times. You might also see some recent prices our customers have found. The best way to find a cheap Malaga to Melilla ferry though is to use the form above today to see all of our possible choices. With AFerry we always give you our best prices for ferries from Malaga to Melilla. No matter which page you book from we always include all our special offers. And there is no need to look for a discount code. If we have an offer available, your ferry price will include the reduction or offer. There's no need to look at other websites. If you're not sure if the Malaga to Melilla route is right for you or you can't decide between ferry companies, if there is more than one, you might also find it useful to read any reviews we have available. We ask all our customers to send us reviews for Malaga to Melilla ferries. Remember though, that the earlier you book, the cheaper prices normally are. So don't spend too long deciding! Malaga to Melilla is a popular route, so we advise you to book as soon as possible. 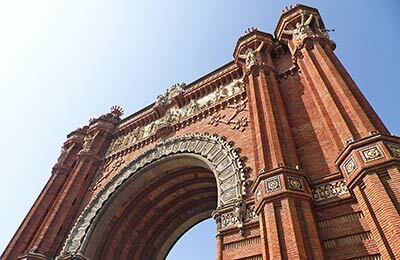 Main Sights in Malaga are The Alcazaba and the Roman theatre; Gibralfaro Castle; The Picasso Foundation - Native Home Museum of Picasso; The neoclassical Cathedral of the Encarnation; The Bishop's Palace; The bullring called Plaza de Toros. My recent trip to Meilla booked with aferry was a very easy and straight forward journey,no problem to get from the airport to the ferry terminal 2euro by train and a short walk to the ferry then 8 hours to Africa. I enjoyed my trip on the large ferry between malaga and melilla. I do wish that the cafeteria had been open prior to arrival in melilla. The schedule on the notice board said it would be so I arrived in melilla hungry. I also wish that I had been aware of the fast ferry back to malaga. It's arrival would have fit my airline connection to britan far better and I do not think thta it was shown as an option when a booked on line in late march. I only became aware of it a day before I sailed to malaga as I watched it leave the melilla harbor. I suppose I should have gone to your office then and asked to change my booking and I suspect that you would have said ok.
check in was easy and quick, the boat was a bit run down though, the seats were broken and ripped, the TV was blaring and there was no quiet area, even in the seating section (as that had a TV too). the announcer had a very strong spanish accent so when she spoke in english it was impossible to understand what she was saying, therefore i missed the canteen closing times and ended up eating a sandwich from the bar, which was below par, the ham was too fatty and thickly cut and a little over priced. everyone was pleasant though and the journey was fine otherwise. we departed & arrived very punctually, and the journey was very smooth. Travelling on the overnight ferry allowed us to make the most of our day in Malaga and have an evening meal before boarding what proved to be a very comfortable ferry. We are a family of two adults and two sons aged 11 and 13. The cabin was very comfortable and all though we did not eat on the ferry all facilities were very welcoming. If anything, we docked in Melilla too early as we would have enjoyed having breakfast on board!